It's still snowing this morning. It started yesterday late afternoon, and it's coming down really lightly - it's actually very beautiful! The dogs love it though. Even Jack wandered around a little more than he usually does. For him it's usually out/quick business/back in to burrow under covers! 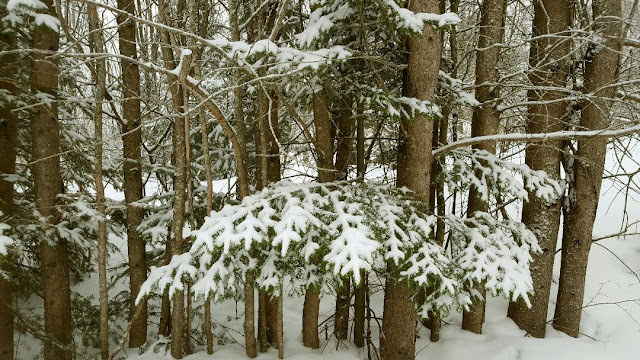 I spent some time outside just enjoying the quiet, it's so peaceful when it snows. I was lucky, the tourist neighbours were still asleep when I went out, so there was no unwelcome noise to ruin the experience. My efforts to be cozy seem so natural, that I resist calling them efforts. I built a little fire when we all came in and we all just chilled and enjoyed the dancing flames. 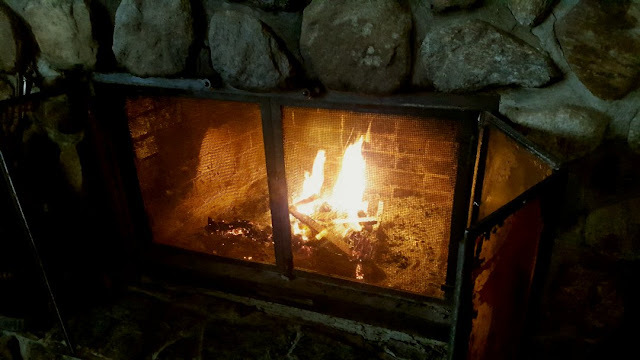 I don't like to make fires too often just because this fireplace, as gorgeous as it is, is an energy-sapper and we already pay enough monthly for Hydro. I think a big part of living a cozy lifestyle is fragrance. 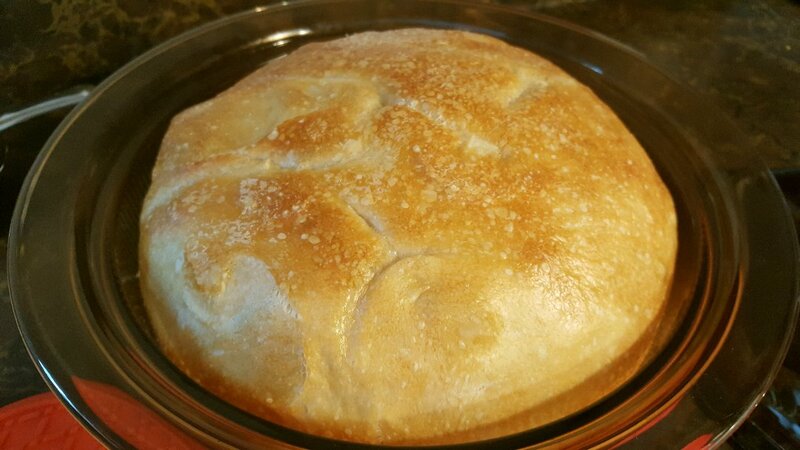 I baked bread yesterday and I just love how it makes the whole house smell cozy! And of course, to celebrate our new fondue pot, Alex made his Italian fondue! We were looking through the fondue cookbook to maybe try a new recipe, but we didn't want to start buying all sorts of big ingredients so we stuck to what we had on hand. It's fun to eat different food, but I must stick to my food budget!! 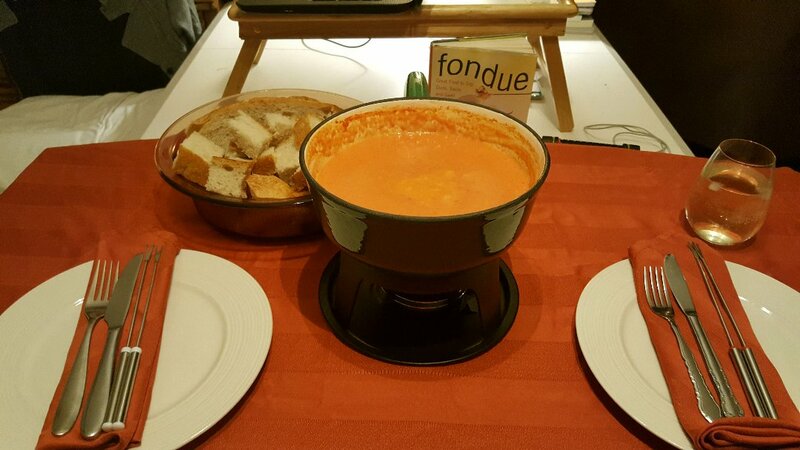 Though we didn't manage to bring the fondue to bed :), it was still a comfy, cozy meal. I'm already planning some different fondues for April and May's meal plans! 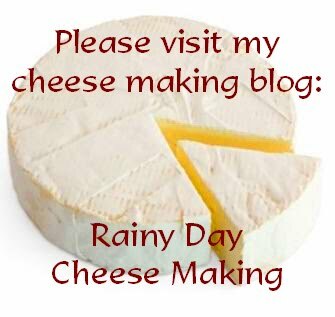 Rain, m'dear, I can't adequately express how much I love your blog posts. They are the epitome of hygge. (You must post something down and dumpy and grumpy now and then so we know you are real!) I know what you mean about what you do every day is to make your home and life cozy and as comfortable as possible. Why wouldn't anyone want the place they spend most of their time to be that way? Oh wait, many, many people don't particularly like being at home and go out and about to seek their happiness. I just hope they are truly content with that kind of life. I probably sound very "uppity" believing my (our) kind of life is superior, and I don't mean to come off that way because it's true that we all are different. Your pictures look as if you could be living in the middle of nowhere and although I know that's not true, I think you are making the best of it while you are there. P.S. Our Strawberry Shortcake this past week was yummy. Not as good as it is made with fresh berries, but the whole thing went down very easily and was enjoyed by us and Chicken Mama and "Gilligan." I remember 3 years ago we had a huge 2 foot dump on april first. I feel for u !!! The sun just peaked thru the clouds and we are about to leave our cozy home to go for a nice walk. Hey Nik, I'm just trying to make the best of it! 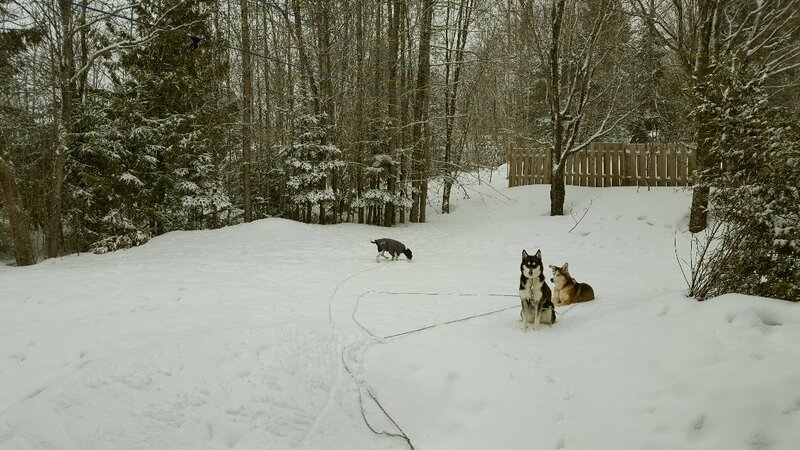 This area does get a lot of snow though. It's funny, when you read the books, you're like..."Yup, uh huh, yes, I do that, okay, I'll try that"...lol...I love my cozy life! Oh cheesecake! Nice!! I got a lot of baking done today and I'm going to relax with a book or a bath before dinner. Enjoy your walk! I can't wait to get out into the woods again, but it's too "sinky" right now! 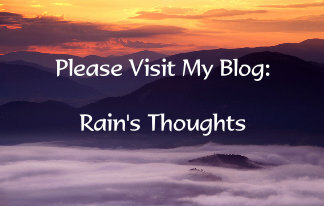 Hiya Rain! Just LOOK at the snow - it is so pretty really but it would be prettier in December....not April. I do love it when its quiet out and the snow makes for a lovely blanket of insulation that quiets the noise. That's lovely. And the fire! So, so peaceful - I love having fires in our fire pit outside in the summer. Much fun! Starting last night and completed this morning I made overnight cinnamon buns- its was my lovely neighbor's 74th birthday yesterday and as I am their "baker" she requested cinnamon buns. Delivered hot and fresh to their door this morning at 0900 hours! They were so happy. I have known them my whole life. Can't get better neighbors than that! That fondue looks amazing! Now I really need to be on the hunt for a pot! I may just bake bread tomorrow if time allows. Today was out and about so not much got done on the home front. Now its laundry and cleaning. The boring but necessary stuff! Snow seems like a perfectly legitimate reason to stay inside and watch the fire, in my opinion. Hi again Dianna :)) You're so right! This snow would be a blessing for us in December!!! No matter how much I complain about snow now, I always want a white Christmas! But NOT a white Easter!!! I remember when I was a kid in the 70's going to church for Easter Sunday and I was wearing shoes most of those years...weather is shifting. That's good that you have nice neighbours. Our neighbour on one side is an elderly lady of 70 and she's so quiet. I don't think she has a television and she's a bookworm. We're thankful for that! Ooooh cinnamon buns! I love the smell of them, but neither Alex nor I can handle too much cinnamon..I do make a cinnamon bread once in a blue moon though! I LOOK FORWARD to puppy prints all over the house lol...we're supposed to have snow/rain/freezing rain off and on all week, I hope the sun makes an appearance soon, my basil has stalled! I think we've had our last fire of the season down here in North Georgia. We're expecting more tornado weather this week though. I think I would rather have snow. Your place looks really cozy. 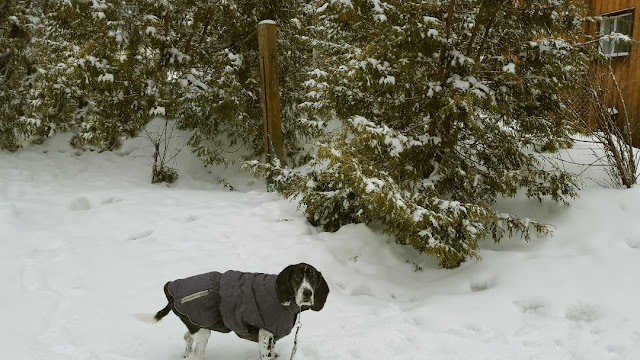 I like that cold weather gear your dog has.